The virtual reality technology industry has spiked in recent years and it owes a lot of its success to the development of VR headsets like the Oculus Rift. It is also one of the few virtual reality headsets designed exclusively for virtual reality technology and software and is considered top of the line by both users and companies alike – as a result, you can expect a lot out of your headset. Not only is it extremely sleek and very comfortable, but it pretty much blows away the competition in terms of actual quality and function. This includes a fully adjustable structure, and an extremely high frame-rate. This is a huge component of making a virtual reality game seem immersive and believable by matching its own framerate with that of the human eye (generally in the range of 60 to 70 frames per second). But the other important aspect of virtual reality is its panoramic ability, and most if not all games and software for the Oculus Rift tend to offer a fully stereoscopic 360 field of vision, and excellent head tracking (although a lot of times the head tracking has more to do with the actual software than the headset itself.) Of course, all the quality expected of this device also parallels the cost, and it is more expensive than any other headset on the market – for good reason. When it comes to versatility and depth, both the DK1 and DK2 models remain unmatched. As one would expect from such a high-grade piece of technology, users in general seem equally pleased with their purchase. Most other headsets tend to be a ‘component’ deal, in which the headset is actually just a holder for another device, such as a Smartphone (the most popular of these being Google Cardboard), which makes the Oculus Rift much more integrated. Users also seem to really enjoy the fact that more and more games are being developed exclusively for virtual reality, and because the Oculus Rift is pretty much standalone it is has uniformly taken over the market as the standard metric by which both games and other headsets are gauged. In particular are some of the neat external devices being implemented with the Oculus Rift and this includes in particular the use of Leap Motion – in essence, being able to use your own hands while inside the game to mimic hands or icons. This is particularly evident in some physical integrated games like Warlock, where a player besides having a full range of vision, can also bring up HUDs and displays by passing their hand in front of their face. This has really helped to redefine the gaming experience by incorporating a level of sensory engagement that is both challenging and also enthralling. The earlier version of Leap Motion as it was put into some software was definitely a bit clunky, but the latest updates and games available seem to have tackled the two major problems: namely lag and a somewhat touchy interface. As mentioned, the Oculus Rift is pretty much next-gen in terms of virtual reality, so the hefty price tag attached to it is enough to take some people’s breath away – but again, it’s important to remember what you’re actually getting out of it, and to decide whether or not you’re totally invested in it. With a pre-order cost of $599 it isn’t just a casual purchase. Although, it should be noted that on top of the order you also get several free games as well, including EVE: Valkyries Tale and Lucky’s Tale, as well as an X-Box controller. 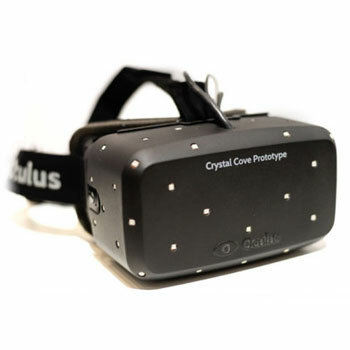 In terms of the overall technical specifications for the Oculus Rift, it is also what you would expect. Because the Oculus Rift works with a PC, it is also important before purchasing a headset to make sure your system can run the device at an optimal level. Thankfully on their site they also offer a free Rift compatibility download that can determine this for you. In general, they recommend having a video card that’s a NVIDIA GTX 970 or AMD R9 290 or anything equivalent to this. For a CPU it’s also good to have a chip that has an equivalent power to an Intel i5-4590 or higher to run smoothly – especially for some of the software that we can expect to see in the near and distant future, it is advisable to keep in mind that these are the bare requirements, and that the demand on hardware is likely to increase as more and more studios make their way into the niche VR market. Oculus Rift also recommends at least 8 gigs of RAM and a compatible HDMI 1.3 video output with Windows 7. Again, a lot of this might end up dissuading potential customers simply because on top of the price of a purchase you also have to make sure your PC is up to spec. But in reality (pun intended) it is a small price to pay for the sort of immersive quality you’ll get out of your Rift. And again, because they’re more or less on the cusp of the technological revolution, the Oculus Rift is actually an ideal investment considering how open-ended the industry is right now. As VR becomes more and more popular, we can expect to see a huge boom in terms of not only the sorts of software (games, videos, etc.) produced exclusively for headset technology, but also in increased innovations – for example, more external devices and applications like Leap Motion, and even possible multiplayer features (playing a first person shooter in 360 degrees with a team suddenly puts a spark in our eye). Overall, we give the Oculus Rift our higher rating for virtual reality – 9 out of 10 – keeping in mind that you should be hoping to use it a lot, and that gaming and media studios will be anticipating this from their customers and aiming to produce content that matches these expectations.